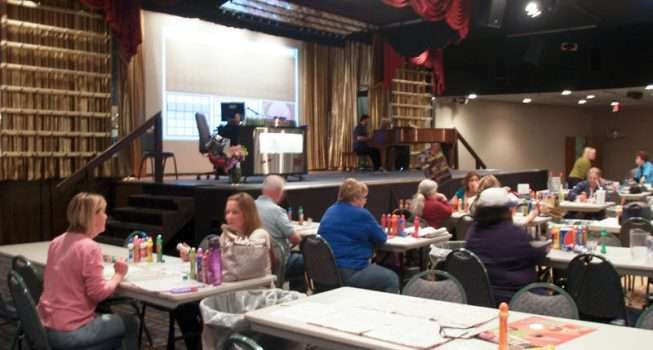 Bingo Hall Stage Picture taken opening night April 9, 2014 at Finnigan’s Hall in North Kansas City. 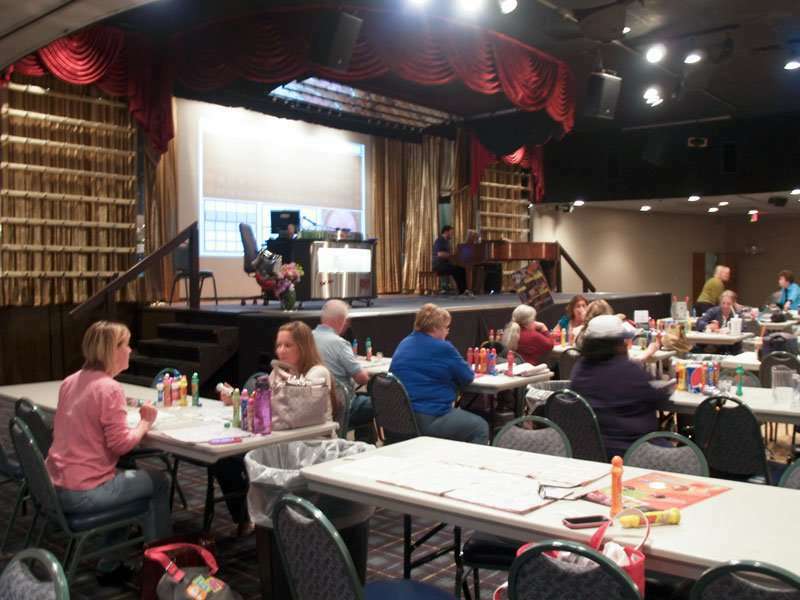 Here’s another table view of our Bingo Hall Stage. See the Large Bingo Screen that appears on the Stage.